Useful mod to alive your castles and buildings! Castle Defenders 1.5.2 is a mod that gives us the ability to create pre-defined NPCs to defend our castle, although the role of the mod is basically defend, can also be an aesthetic detail. We create archers or knights, only placcing an arc or a sword to the crafting table with iron arrwond it. Where we’ll place the block the knights eill move around the block, while the archers don’t. Around the world you’ll also find mercenaries to hire giving them gold. If you find enemy castles you’ll be able to raid them in serach of treasures. In addition this version supports multiplayer mode. 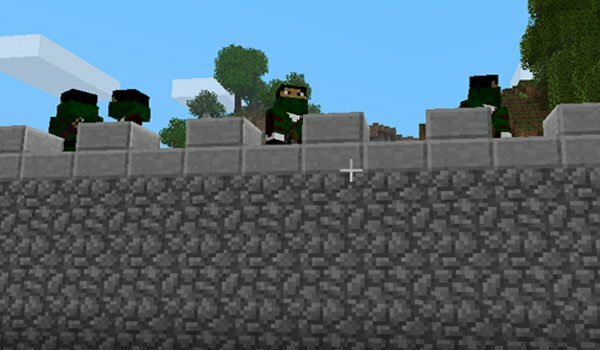 How to install Castle Defenders Mod for Minecraft 1.5.2? Paste the donwloaded “CastleDef” file, inside “minecraft.jar”. Start to defend your castle!